Offered: Resident Camp Sessions 2, 3, and 5. Ages: Entering 7th grade and older. CILTs and beginners welcome. Cost: $650 in addition to session tuition fee. Details: Our surfing partner Club Ed chooses the best spot for our surfers, typically Cowells, Rio Del Mar or Manresa. All equipment including wet suits is provided. A swim test is required. This activity counts as 3 of the activity choices. Campers will surf 6 times during the session. Surfing has become synonymous with the California lifestyle, and this is never more apparent than here in Santa Cruz. Kennolyn Camps is uniquely located mere miles from some of the West Coast’s best surfing beaches, and we’re proud to offer our wave-loving campers the chance to hang ten as part of the traditional summer camp experience. We have provided the surfing specialty activity to campers for the past ten years, and this program has become one of our most popular options. Each summer, Kennolyn partners with CLUB ED in order to provide professional surfing instruction for campers of all skill levels who are entering 7th grade and up. Over the years, we’ve learned that kids from coast to coast and in every landlocked area in between love getting their feet wet with this world-renowned sport. 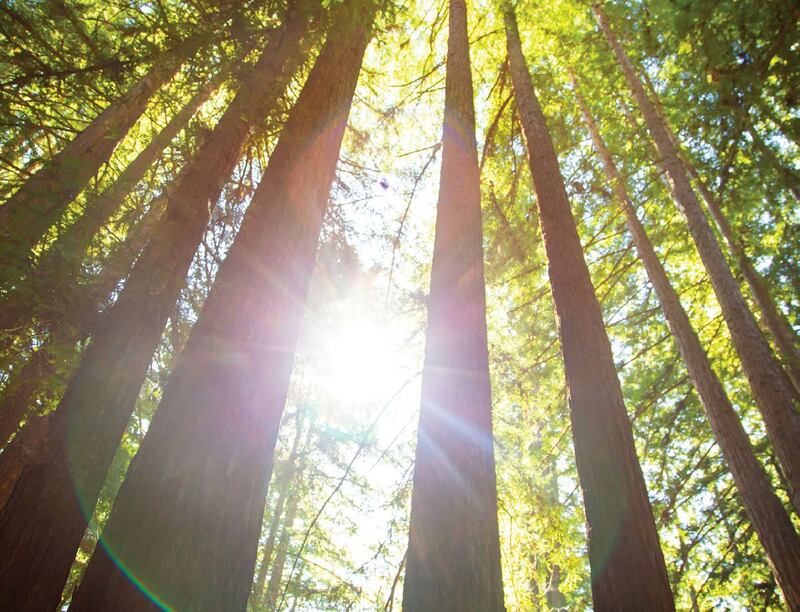 Some of our most ardent surfing fans come from far outside the Bay Area, and come back year after year to enjoy the redwoods and the waves. The surfing specialty activity at Kennolyn includes beach days interspersed with plenty of other fun summer camp traditions, giving each camper a healthy balance of activities. That’s one thing that makes this program ideal for both new surfers and experienced wave riders alike! Each session, our surfers meet in the Caldwell Lodge for early breakfast and eat as a group with their Kennolyn lifeguard. From there, like any good surfer, we follow the waves. Club Ed staff monitor the local conditions and choose the best spot for our surfers each day, and we typically end up at Cowells, Rio Del Mar or Manresa. Club Ed prepares the right suits and boards for each camper (according to the measurements we take on the first day of camp) so that we can suit up as soon as we hit the beach. Then, with plenty of professional instruction, our campers learn how to properly paddle out, mount their board, catch a wave, and hang ten. And yes, some even wipe-out on occasion—which, surprisingly, tends to be their favorite part of the entire experience since they learn how to do it safely and productively. 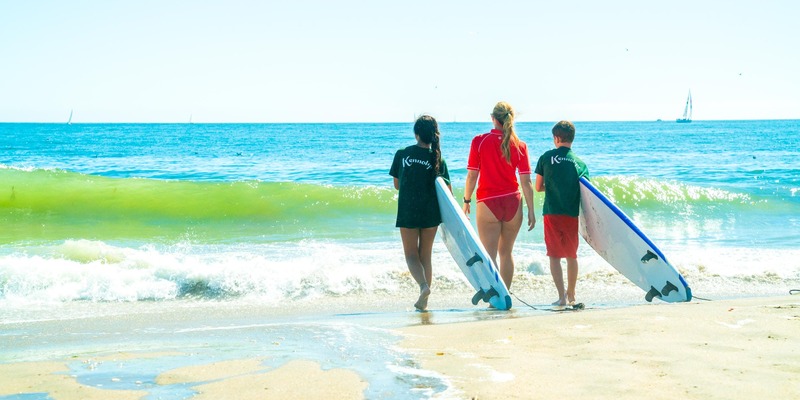 Whether your child is brand new to the ocean or was raised on a surfboard, Kennolyn’s surfing programs are guaranteed to provide the fun, excitement, and experience they’re looking for. They’ll have plenty of time on the beach to make lasting friendships with other surfing enthusiasts, and they won’t have to miss out on the campfire and community of a traditional camp experience. It’s truly the best of both worlds. We offer this surfing specialty activity during camp sessions throughout the summer, so be sure to check out our Dates and Rates for more details. If you have any further questions about Club Ed, surfing, or Kennolyn in general, we are happy to have a conversation with you at any time in the year—and we also offer camp tours year-round for those families who prefer to have their questions answered in person. Already decided that this camp program is the perfect fit for your family? You can register your child for summer camp today—just be sure to select the surfing specialty activity, and they will be ready to have the ocean experience of a lifetime.